Join the ECOT community for our annual Kirkin’ o’ the Tartan!! The word Kirking comes from the Scottish Gaelic word for kirk, meaning church – or in this case, “blessing.” Tartans are the traditional plaid emblems of Scottish clans. Scottish history tells the story of Prince Charles Edward Stewart’s return from exile in France in 1745, and landed at Lochnanaugh, Scotland. There he began to enlist the Highland Clans for an unsuccessful attempt to dethrone George II of England, to restore the Scottish throne to the Royal House of Stewart. Thus, the Act of Proscription banned, amongst other things, the wearing of any sign of the Tartan. 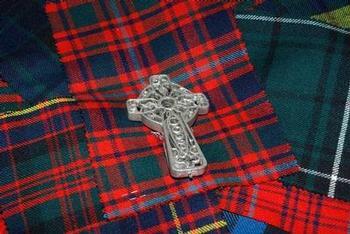 The Scots then hid pieces of tartan under their clothing and brought them to church for a secret blessing – or kirkin’. It wasn’t until the 20th century that the custom came to America. 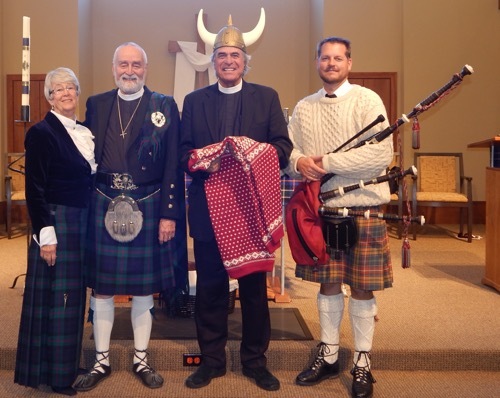 The Reverend Peter Marshall, one-time pastor of Washington, D.C.’s New York Avenue Presbyterian Church and Chaplain of the U.S. Senate, recreated the ceremony to instill pride among Scottish-Americans in their Scottish homeland. Today, people of many denominations remember the Highlander patriotism, faithfulness, and independence by the wearing of the tartans and the playing of the bagpipes. One of the Transfiguration’s favorite fall events, the Kirkin’ o’ the Tartan is going to be a festive event you will not want to miss!